Discover the new dimension of yeast. 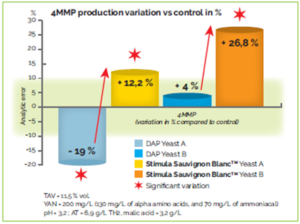 The effect of adding mineral nitrogen (DAP) was therefore compared to that of these new specific nutrient formulations (Stimula ™ Chardonnay and Stimula ™ Sauvignon Blanc), at different times of addition during the FA. The impacts of the nitrogen source and the timing of addition were confirmed, resulting in two distinct organoleptic profiles. 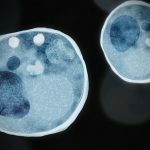 Purelees Longevity is a newly developed SIY. Added at 20g/HL has the capacity to consume 1mg/l of dissolved oxygen. 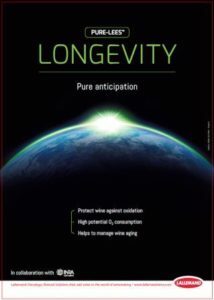 This product protects wine against oxidation during storing, aging and transport. 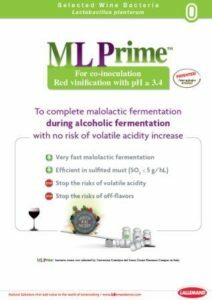 ML Prime™ is a new concept of freeze-dried starter culture with a powerful Lactobacillus plantarum with very high malolactic activity and no risk of volatile acidity (VA) production. It has been developed with a new production process that optimizes the active bacterial culture. 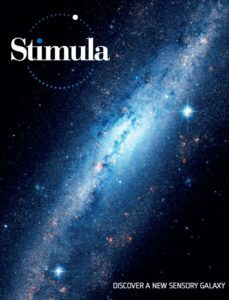 Its high malolactic enzyme activity strongly shortens the lag phase and can quickly degrade malic acid content up to 3 g/L. It is able to achieve a very fast malolactic fermentation before the growth of indigenous bacteria, often responsible for the VA increase or other wine defects in high pH conditions. Used in co-inoculation, it is perfectly suited to conduct MLF in classical red winemaking process using short or medium macerations or thermovinification process on the liquid phase. 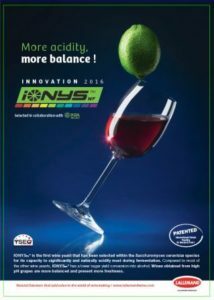 It is the perfect tool for winemakers for red vinification with low natural acidity and pH ? 3.4. 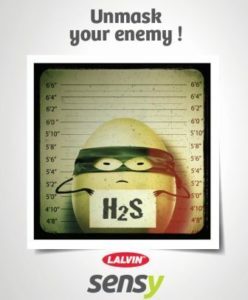 LALVIN SENSY TM is a new generation yeast. 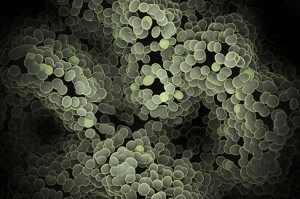 A new scientific approach has enabled the development of an innovative selection technique for this specific yeast which produces low levels of SO2, H2S and acetaldehyde. This strain is a good selection for Sauvignon Blanc, Chenin Blanc, Colombar and Chardonnay – also if very low SO2 levels are required. 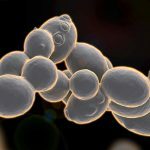 IONYS™ is the first wine yeast that has been selected within the Saccharomyces cerevisiae species for its ability to significantly contribute to the natural acidity of must during the fermentation process. Lower alcohol levels, as well as higher glycerol levels are also found. A well balanced nutrition which includes Go-Ferm Protect during rehydration as well as Fermaid O TM during fermentation is of utmost importance. Use at 30 g/hl.